Medical researchers are testing the use of pulsed sound waves to direct and focus cancer drug therapies. Now, a Norwegian biotech company called Phoenix Solutions AS is working with the Translational Genomics Research Institute (TGen), a Phoenix, Arizona-based biomedical research facility, to test the use of these pulsed sound waves to direct and focus cancer drug therapies. In laboratory tests, TGen will help analyze the effectiveness of a technology called Acoustic Cluster Therapy (ACT), a unique approach to targeting cancer cells by concentrating the delivery of chemotherapies, making them more effective and potentially reducing their toxicity. Humanscan Co. Ltd., a South Korean manufacture of ultrasound diagnostic imaging, is developing clinically applicable hardware optimized for ACT, which TGen will then validate. Phoenix Solutions is using funding from Innovation Norway to conduct this research in advance of pancreatic cancer clinical trials planned later this year. “We are very pleased to receive this grant, which will enable us to develop and validate an optimal ultrasound platform for clinical use of ACT. In their respective fields, Humanscan and TGen both represent the cutting edge of science, and we are confident this will contribute to the clinical success of our program,” said Dr. Per Sontum, CEO of Phoenix Solutions. TGen is a world leader in the development of novel therapeutics for the treatment of pancreatic cancer. The TGen team led the clinical development of one of the current standard-of-care regimens for this disease — nab-paclitaxel plus gemcitabine. TGen currently is involved in 13 pancreatic cancer clinical programs. “We are pleased that this research program has become a reality, and look forward to working with ACT. The concept represents a novel approach to targeted drug delivery and looks very promising,” said Dr. Haiyong Han, a Professor in TGen’s Molecular Medicine Division and head of the Basic Research Unit in TGen’s Pancreatic Cancer Program. Among the advantages of ultrasound technology: it is generally painless; non-invasive; does not require needles, injections or incisions; and patients are not exposed to ionizing radiation, making the procedure safer than diagnostic techniques such as X-rays and CT scans. Phoenix Solutions also is considering this technology for use in addressing other types of cancer, including: liver, prostate and triple-negative breast cancer; and other diseases, including those involving inflammation and the central nervous system. Materials provided by The Translational Genomics Research Institute. Note: Content may be edited for style and length. Check out our Facebook Page or our Ultrasound Blog. The Food and Drug Administration (FDA) has concluded that there is insufficient evidence to justify imposing additional regulations on third-party servicers of medical devices. The announcement came this morning with the publication of a highly anticipated report on the quality, safety, and effectiveness of medical device servicing that was required as part of the FDA Reauthorization Act of 2017. “We believe the currently available objective evidence is not sufficient to conclude whether or not there is a widespread public health concern related to servicing of medical devices, including by third-party servicers, that would justify imposing additional/different burdensome regulatory requirements at this time,” the FDA wrote in the report. Despite this lack of evidence, the FDA said it does not intend to extend medical device reporting requirements to third-party service providers or require registration by such entities. “We do not believe this information alone would address the outstanding fundamental questions regarding the quality, safety, and effectiveness of servicing,” the FDA stated in the report. Some original equipment manufacturers had pushed the FDA for expanded regulatory oversight in this area, saying there have been significant problems with the quality of service by some third-party servicers, an assertion vigorously rejected by those vendors. Promoting the adoption of quality management principles, including new and existing quality management standards and best practices. Strengthening cybersecurity practices associated with the servicing of medical devices. Fostering a multi-stakeholder approach to evidence development to assess the quality, safety, and effectiveness of medical device servicing. AAMI President and CEO Robert Jensen said several aspects of the FDA report align with initiatives being pursued by the association. AAMI’s medical equipment management (EQ) standards committee is proposing a revision to the existing EQ56 standard, which focuses on recommended practices for medical equipment management programs. The proposed revision would build on the standard to include quality management principles and address cybersecurity practices. Stephen Grimes, managing partner and principal consultant for Strategic Healthcare Technology Associations, LLC, commended the FDA for its focus on collaboration. The International Association of Medical Equipment Resellers and Servicers (IAMERS) vowed to help move the discussion forward. However, not all stakeholders were as positive in their assessment of the report. The industry trade association AdvaMed said the FDA had not gone far enough with its recommendations and called on Congress to step in. The FDA is accepting comments on the report (docket FDA-2018-N-1794) until Nov. 12 via www.regulations.gov. Epiq 7 parts coming soon. 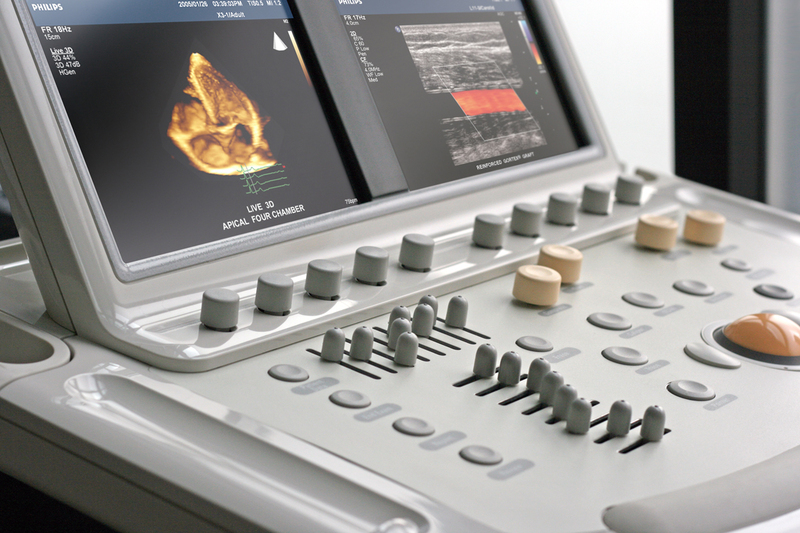 The Philips HD9 is considered an economical mid-grade ultrasound machine for general imaging. Philips maintains a unique position in the OEM world with a level of respect from clients and distributors. An overall very positive image in manufacturing, their preowned machines still are high in demand which translates to parts being requested and needed. If you need an HD9 ultrasound part, please check the model , part number, description and software version to ensure you have a match before ordering. The Sonos 5500 was originally HP before the Philips acquisition. A rather large machine, the Sonos 5500, maintained the original reputation for being a workhorse and also being found in many cardiac and vascular offices. Small monitors, large and heavy in size, it can still be found working diligently in some areas of the world. Ultrasound parts are still available but not as readily as years prior simply due to inventory or warehouse space; many have upgraded or replaced over the years. The Sonoscape E1 Black/White, Slim Design Portable Ultrasound. 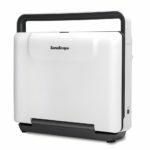 With Sonoscape introducing the E1 which replaces the A6, with enhanced imaging, faster processor, a large 500GB Hard Drive and a large 15.6″ LED Monitor Display that tilts for viewing. It opens up a new market for MSK, Podiatry, Veterinary, and the practices not wanting color doppler. 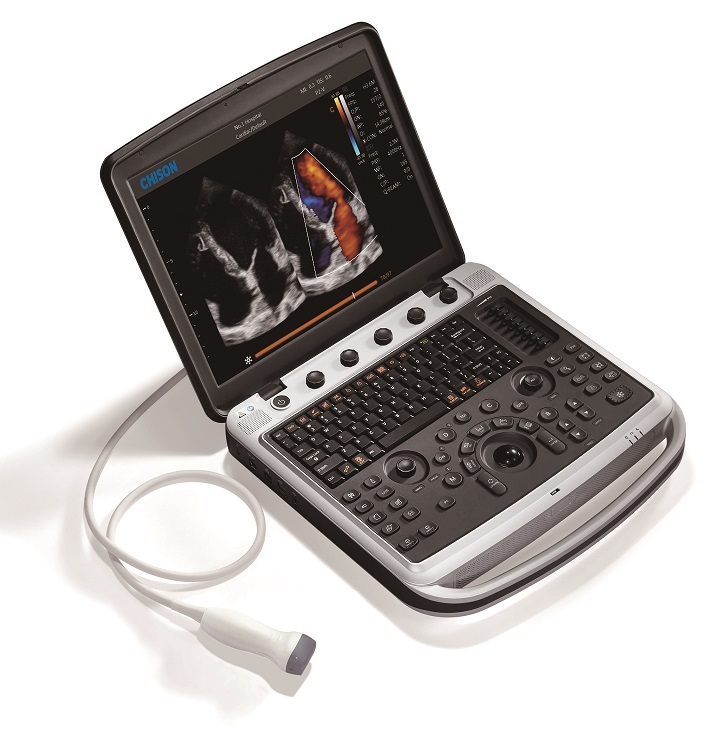 Chison Sonobook 9 – Brand new, High end portable ultrasound with excellent imaging and encompasses many applications including Cardiac Echo with TEE and Stress options, 3D / 4D, Obstetrics, Gynecology, Breast, MSK with High Frequency Linear for superficial imaging, Needle Enhancement for Injections (Anesthesiology/Orthopaedic), Breast, Elastography and the list goes on, It’s Loaded with Crisp Images. Priced right, starting at $26,000 and up. Competes with Philips CX50, Vivid I and is better than Sonoscape S9. Has the SSD Hard Drive. 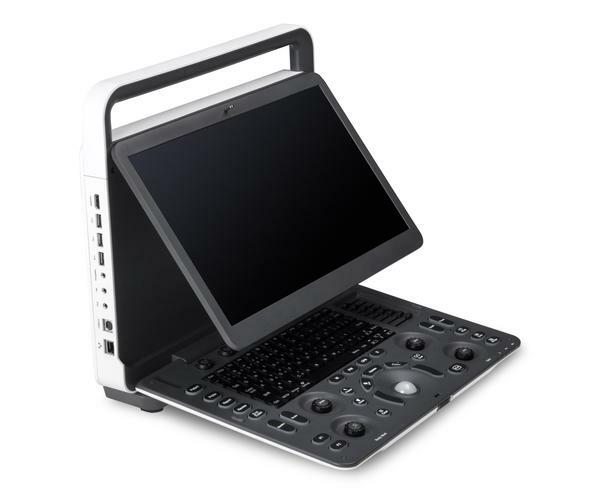 Sonoscape S9 Pro – High end portable laptop, shared service including cardiac but not stress echo. Keyboard for more effective key punching versus the sensitive touch screen. Ob/Gyn/Vasc/Cardiac. Priced around $20,000 and goes up. 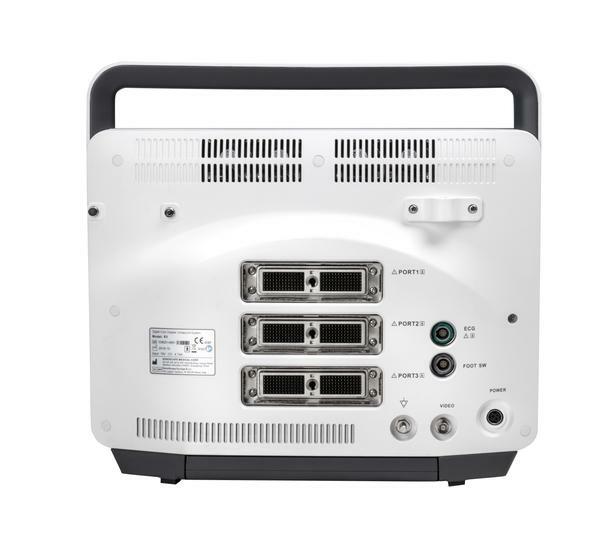 GE Logiq e – well-known portable in a long line of GE products. Can be configured with or without cardiac and stress. Many software levels (BTxx) to choose from depending on your needs and your budget. Slim design portable, well known imaging. Many imaging enhancements and features to provide the tools you need for your practice. Added High Frequency Linear Probe to NextGen R7 version. 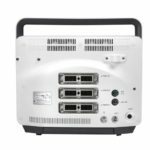 GE Voluson I – best in market 4D portable ultrasound. Still holds its ground in the industry. Long time, well-known and reputable 4D portable. Offered new or refurbished with different levels of software to choose from that will generate great results but just may $ave the pocket a little when needed. 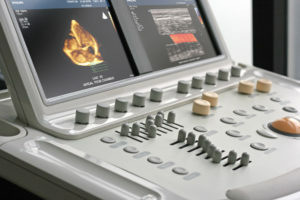 GE Vivid I – great cardiac portable ultrasound machine. Who doesn’t know about the Vivid i? Fully-functioning cardiac machine with stress, TVI, TT. Being replaced with newer models but still available. GE Vivid q – a step up from the Vivid I with a little more power along with quantitative measurements like Auto EF and more or less mimics the capabilities of the Vivid 7 line. Great machine, costs more, so the audience is more channeled. GE Vivid iq – newest machine, tablet/ touch screen interface, flip down display. Advanced – 2D TEE, ICE2. Adds the 4D cardiac option to the list to complete with the new Philips CX50. Chison Ebit 60 Ebit 50 or Vet – New release portable scanner for human or veterinary. This is a 15”, 5 inch thick portable unit somewhat similar to the Sonoscape S2 but with a few enhanced features like tilt monitor, faster processor, better imaging. Prices start around $16,000 and goes up with probes. Offers enhancements for Needle Injections for Anesthesiology or Orthopaedic applications. 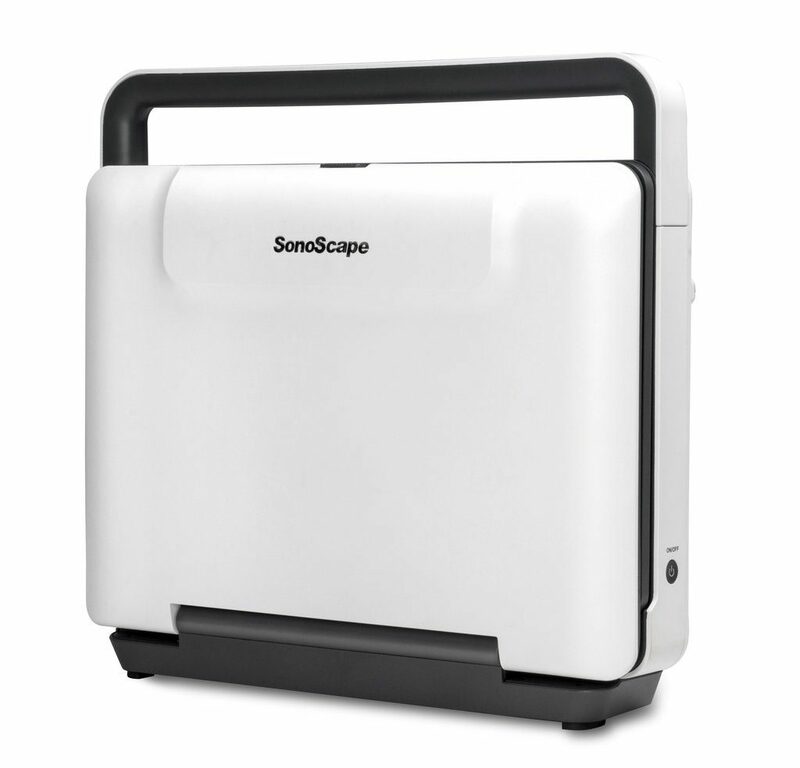 Sonoscape E1 – New machine just released, more information to follow. Here are basics: Black/White Portable, 15.6” LED Display, 13lbs, Slim Design, Fast Bootup, Exceeds Mindray DP50 Portable, 90min Battery, 500GB Hard Drive. Philips CX50 – 3D cardiac echo portable. Philips is designed for cardiologists but is just as good with vascular too. Similar size to the SonoBook but about $15,000-$20,000 more. Easy to use, durable but could cost a bit if a board fails and needs replacing. Has a standard hard drive. Samsung HM70A – considered the hybrid of hardware and software working cohesively to generate that crystal clear picture that the ClearVue delivers. Not enough feedback to be unbiased on this system. SIUI CTS-800 – this is one of the smaller handheld portables used in the market with just a 7” LCD screen. It’s for outdoor use and on farms, and is water resistant, water proof. Used in the Veterinary market for horses, cows, and farm animals. Edan DUS60 – slightly bulky but user friendly, portable black and white. Similar to the Sonoscape A6 but easier to use and more durable, workflow and DICOM are solid. Great for ob/gyn and with veterinary software, the vet market. Clear images, hard drive (A6 doesn’t offer), Pulsed Wave imaging packed in this economical portable that will do great for what you need. Want more information? Email [email protected] for more details on a system you want to compare. Ultrasound has had a profound effect on the way doctors can monitor and diagnose health problems. For years it has been a common instrument used to track a woman’s pregnancy and discover any issues with unborn children. But it can also be used in the detection of issues such as kidney stones or abnormalities that indicate possible cancer. Like so many other devices, technological advances have now made these devices smaller. 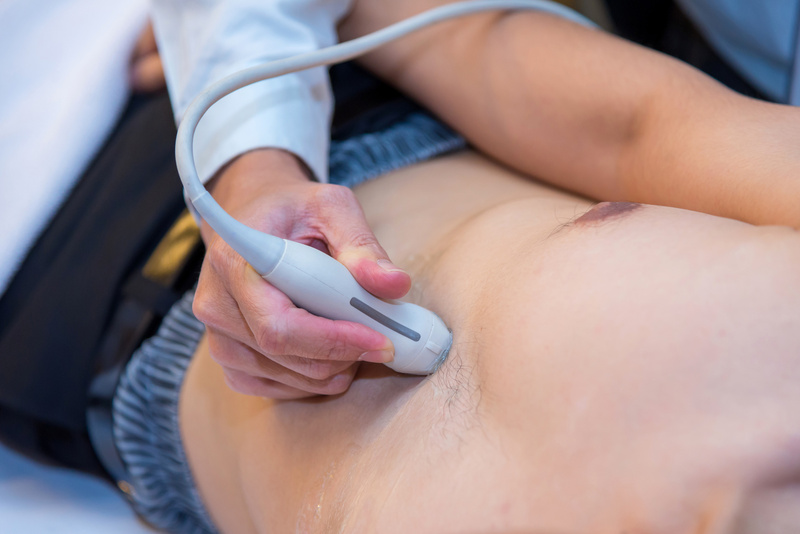 Now, a portable ultrasound is becoming a common tool used in many areas of the healthcare profession. These machines are also called point-of-care devices. They deliver imaging technology based on the idea of a traditional ultrasound. 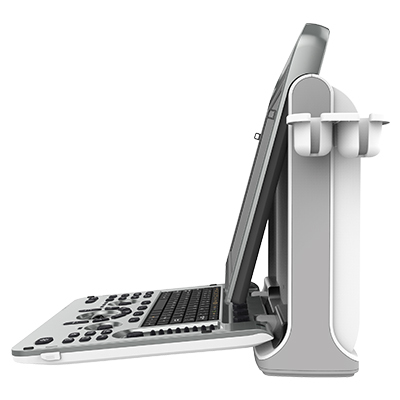 However, they are much more compact and can help offices and hospitals streamline the diagnoses process. This technology allows for a level of convenience that was unavailable with larger machines. By incorporating point-of-care ultrasounds, doctors and hospitals are able to provide a level of care never seen before. The benefits are becoming very apparent. Detecting a health issue quickly and correctly is one of the most critical factors in treating illness. Time is against the patient and doctor in many cases. In the past, general radiology procedures have been used to look inside the body to detect problems. Portable ultrasound devices are now being used for more targeted and quick diagnoses and treatment. This type of procedure allows for a much more focused image of an area. It can also be done at the patient’s bedside. In addition to a more targeted image, point-of-care ultrasound has eliminated long wait times. Doctors and patients rely less on a lab to produce the results. This has sped up the diagnoses process dramatically. Ease of use is another way these devices are changing the game. Now, even nurses and technicians are able to operate and administer portable ultrasound. Just another way a hospital can streamline the diagnoses process. Portable ultrasound units are also being designed with other valuable features. These features are helping doctors pinpoint health issues much more effectively. A more accurate diagnosis results in quicker and more appropriate treatment. Higher image quality is a huge benefit in the diagnoses process. A sharper image resolution gives doctors a better look at potential issues. What once may have been an undetectable problem is now easily diagnosed with high-quality imaging. The ease of use that portable ultrasound provides has led to crucial, quick diagnoses in the case of emergencies. A portable ultrasound can serve as an invaluable resource when detecting life threatening heart or lung problems. Recent advances have produced what are called transesophageal transducers. These devices have the ability to be passed through the esophagus in order to take pictures of the heart. This capability gives an up-close picture of potentially life-threatening issues. This type of technology continues to advance and provide more solutions to patients and doctors. It’s important for doctors to have up-to-date knowledge of what is out there. The high cost of healthcare is a big issue, especially in America. Without health insurance, the cost of simply diagnosing a health issue can send a person into debt. However, advancement in ultrasound technology can cause an overall decrease in a patient’s bill. New mobile devices are being developed at a lower cost. The convenience and availability are causing the cost of diagnoses to drop. Point-of-care devices cut down on the added high cost of lab processing. 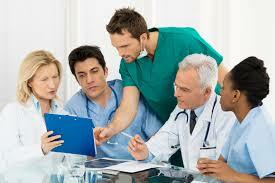 By providing an immediate result, they minimize the resources needed to diagnose a disorder. This allows a patient to more quickly know if treatment is needed. Mobile ultrasound is allowing doctors to provide care in remote areas where resources are scarce. Because of a lack of money or harsh geography, many regions still don’t have proper health facilities. This should not be a problem with today’s healthcare resources. Now, doctors are able to bring portable ultrasound devices to impoverished regions. Their size and ease of use allow for easy and quick diagnoses in hard to reach areas. Care can now be given to people who formerly went without it. Many of these regions only have access to outdated medical technology. Using equipment that is 30 years old puts the doctors at a great disadvantage. Portable ultrasound allows better technology to be brought to people in need. The increase in mobile healthcare technology has caused an overall integration in the healthcare process. In the past, a single imaging machine was relied upon for an entire hospital. Now many smaller machines are being purchased at lower cost and are available for use in one location. These smaller units require much less storage space. They are also able to be moved easily from room to room. The overall effectiveness is helping streamline the diagnoses and treatment process in hospitals. More and more, patients want to be a part of their treatment process. These devices allow for patients to have an interactive connection with their diagnoses. They also allow doctors to interact and engage with the patient during the process. Anesthesiologists are using ultrasound to more precisely gauge needle injections. They can also use this technology to guide the injection. The overall process in hospitals and private offices has been greatly streamlined by the use of mobile ultrasound. Doctors are seeing higher efficiency in their staff and greater patient satisfaction. Mobile ultrasound devices are becoming more popular every year. Their ability to provide effective healthcare solutions have been proven. The ease of use and cost benefits make them essential for every practice. It’s important that medical teams have the most up-to-date equipment and technology. You can’t afford to be behind the curve when it comes to providing quality care. Enterprise Ultrasound has been providing solutions to clients for close to a decade. We supply new, used and refurbished machines and probes to doctors and hospitals in need of newer healthcare technology. Contact us to discuss your options.